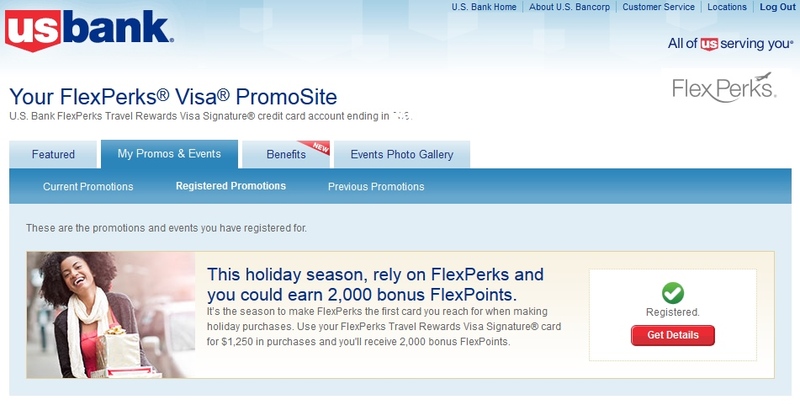 You may want to take the time to login to your FlexPerks card account and see if you have been targeted for the below promotion. It works out really nice. Basically what I will do with my US BANK FlexPerks card is stop in to my local pharmacy and buy some VR cards, 3x$3.95 for $500 cards each so $12 in fees, but will net out with the promotion 3500 total points (2000 promo and 1500 for spend). 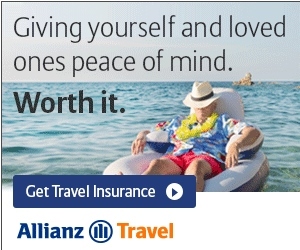 That is $70 in travel value as 20,000 FlexPerks points are worth up to a $400 ticket on Delta or any airline! I got spend 5,000 get 3,000. I’ll do my spending at the grocery store to net 5k+5k+3k = 13k FlexPerks after 5k spend. That doesn’t include the 3,500 flexperks I got for spending 1,500 by Oct 31. There was a three day overlap between the two promos, so technically, it’s..
@Steve – I’m jealous. Well done & I think I may see some grocery store gift cards in my future as well! It’s actually a good reminder – what’s the rush? if I had done that 1500 spend for the first promo, it wouldn’t have counted for the 2nd promo. waiting until the end of the promo period, and the spend counted for two promos! edit: if I’d done it for the first promo, right when the promo was announced. @Steve – agreed! The key is to get the cards 😉 both a personal and a biz!